O holy light! 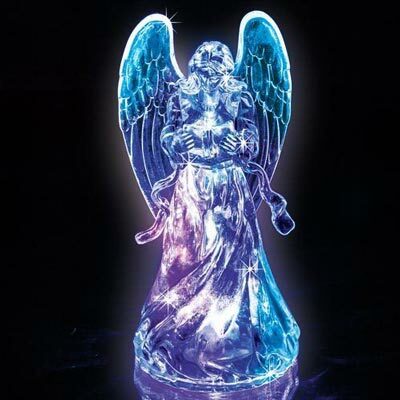 Let the peace of the season enter your home with this acrylic Luminescent Angel. Convenient on/off switch on the bottom controls the brilliant, colour-changing lights. Uses 3 button cell batteries (included). 6½"h.